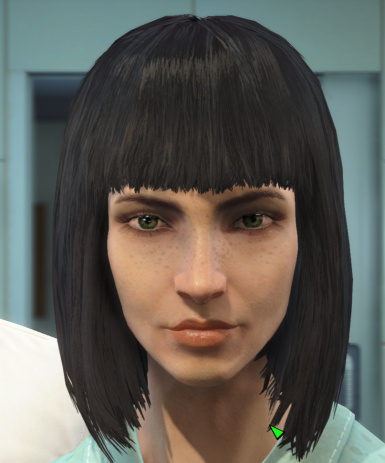 Agemo's Gorgeous heroines - replace Cait Curie and Piper. Agent Carter Preset Kaleidoscope Edition - All-in-One. 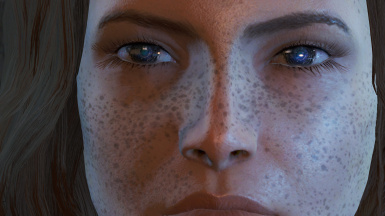 Ciri (The Witcher 3) LooksMenu Preset For Ciri's green eyes. Cute followers - Piper Cait and Curie More cute eyes. John Wick (Keanu Reeves) Preset *I'm using TEOB Texture replacers installer. As long as "dark brown" is included, you're good. Mindy Looksmenu Preset All files, not replacer. 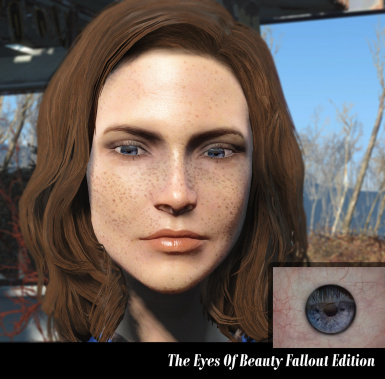 Do not install lashes from this mod. 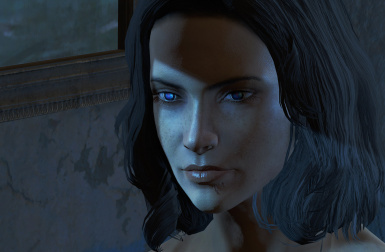 Nadia LooksMenu Preset If you want those glorious eyes. NX-2C (Ivy) I have both the AIO and Kaleidoscope, but not sure which one went into choosing her eyes. 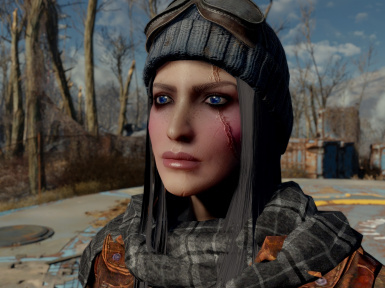 PIPA - Pretty in Post-Apocalypse - A LooksMenu Preset Optional, but you can't go wrong with this mod, honestly. SL Looksmenu Preset All files, not replacer. 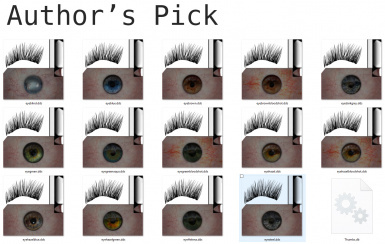 Do not install lashes from this mod. Sola's Kelly Atalanta pre-set (-CBBE- compatible) Using all author's choice. 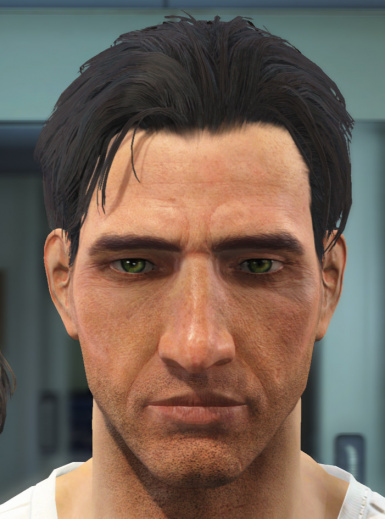 You can use, implement as standalone or modify texture for your mods. BUT, please credit LogRaam or Gabriel Mailhot as the original creator. See the Docs tab for installation instructions and troubleshooting tips. 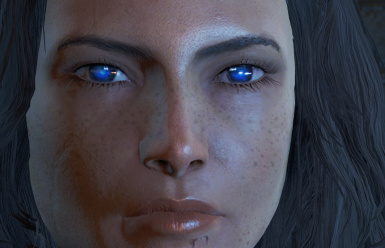 Please check out Shadowvalor's Looking Stranger - Heterochromia and Odd Eyes. 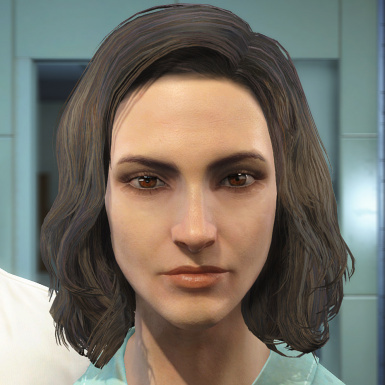 There are ton of eye combinations on there including True Eyes. Plus, give Shadowvalor kudos for graciously sharings meshes for the 3.2 release of the Eyes of Beauty. 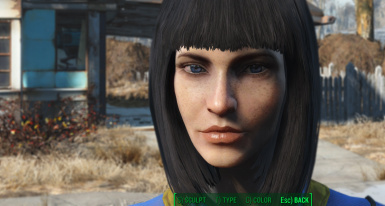 Beauty is in the eye of the beholder with this character mod from Lograam. 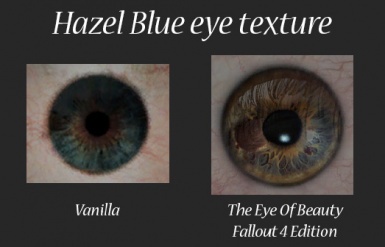 Installing The Eyes of Beauty will give your avatar new, realistic eye textures that greatly improve on the vanilla eyeballs that come free with the game. 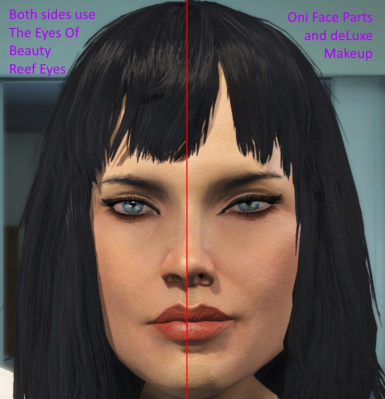 As you can see in this video, you can swap between quite a few different eye textures and you'll be able to do this with either male or female characters. 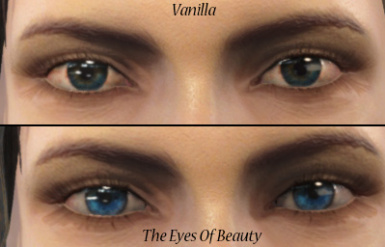 First of all, welcome to our mod: The Eyes Of Beauty. TEOB started with Skyrim in 2012 and THANKS TO EVERYONE, the mod is still in the MOST ENDORSED FILES OF ALL TIME !!! 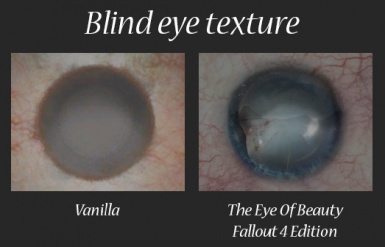 The mod feature textures from eye pictures where some are from medical picture repositories, others are digital paintings and some are from real players that took pictures of their eyes and sent them to me. 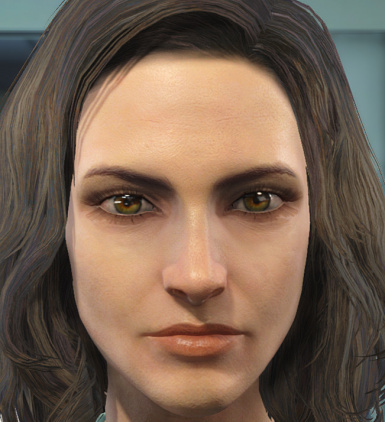 The textures are 512x512 in resolution, meaning that it's twice the resolution of Fallout 4 Vanilla's. For the first time I welcome an artist into the making of this mod. Her name is Sarinia. 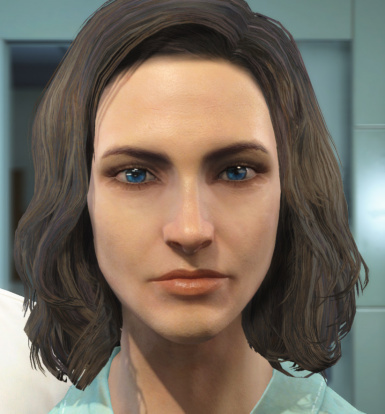 She will be contributing by creating new high quality content for this mod. 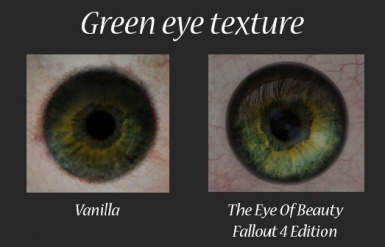 There is a lovely green eye texture included in the mod named Helena, which was created from an actual photo that Helena submitted. If any other members of the community would be interested in submitting a high quality close-up photo of their own eye, we would love to add them to the reference repository. 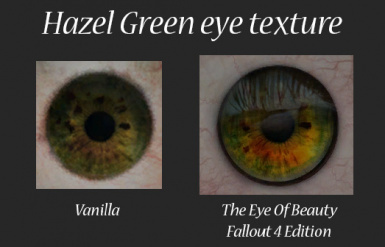 Provided that the iris color is not nearly identical to one of the existing textures, we will create a new texture from it and credit the submitter. While the final textures are 512 x 512, the higher the resolution on the submitted photo, the better. Also, please be sure to have the eye open as much as possible to capture the details of the iris color and pattern. Unfortunately, a photo with an almost closed eye won't provide enough details to make it usable. Detailed instructions on how to submit your photo will be added soon. Thank you in advance and we look forward to seeing the beautiful eyes of the community. But wait! Why 512x512? 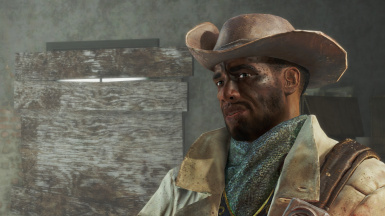 Why can't you create 4K textures? In fact, we can. But we won't. 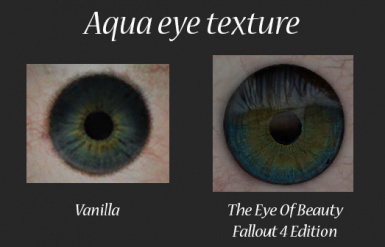 Sarinia has been giving some thought to my observations about the game down-sizing the resolution of the eye textures and whether it actually makes any difference when played at various resolutions of the games, so before diving too far into creating a higher res texture, she spent some time testing it. 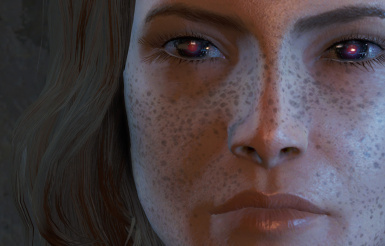 She ran the game with The Eyes Of Beauty's green eye texture at 3 resolutions: 1920 x 1080, 2560 x 1440, and (full 4K) 3840 x 2160. 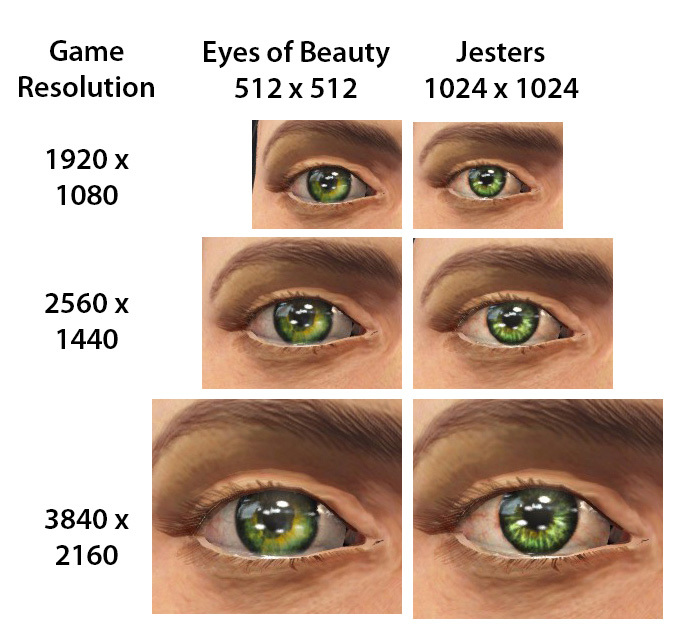 She took screen shots of the eyes in the character creator at each resolution and then swapped out the eye texture for one of Jesters which has a base texture resolution of 1024 x 1024 to see if it made a difference at any of the resolutions. "[...] You are welcome to use all or part of this sample test as an image on your nexus page to answer those people who ask about resolutions or are not using your mod because they think the 512 base resolution makes a difference. To be honest, after looking over this, I agree with you that it really doesn’t seem to make much difference if the texture is 512 vs. 1024. [...]"
--------------------------The new standalone pack that allows you to use around 151 + 10 eyes from expansion pack at the same time without replacing anything has been added to main download page. 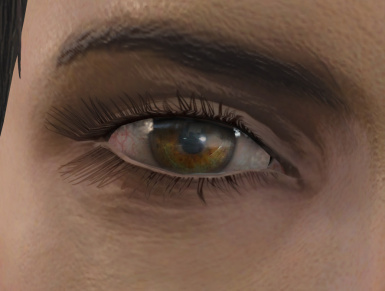 - Included optional Helena eye texture. 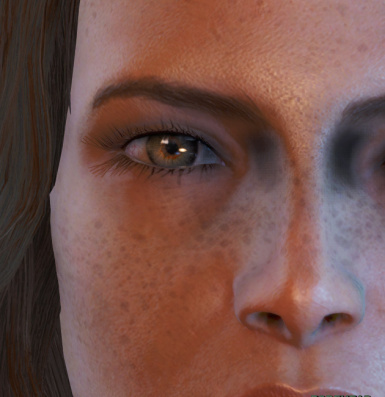 Helena is a player that sent me a closeup of her eye for the Skyrim version of TEOB. - New textures will be added in future release... Keep in touch! See the Docs tab for more troubleshooting tips. Solution: just alter the shape of your eyes and it will push back the texture to the right place. Issue: eyes are too bright! Solution: probably you are using ENB or saturation/brightness enhancement mod. In a future update, I plan to publish a low saturated texture kit for ENBs. 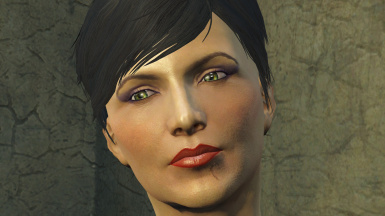 For now, you'll have to live with or shut either TEOB or ENB. 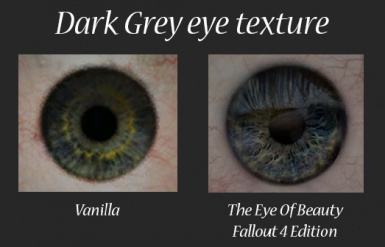 For anyone not familiar with viewing replacement eye textures outside of the game, please note that the images will appear much darker in the selection screen than they appear in game. When they are seen in game, the lighting greatly affects the way you will see them. 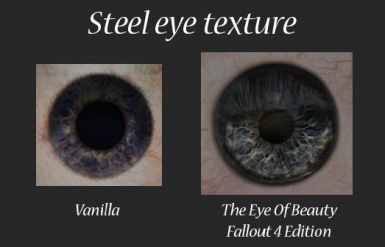 For examples of how eyes textures look in-game, please see some of the sample images on this mod page.